The isolation float tank can allow you to re-experience and relive stored memories. A walk down memory lane can be therapeutic, introspective, and even blissful. Memories are the ink of the mind, once penned in the synaptic connections, the words of our experience are there to tell and retell our story in the book of our being. What is it like to relive our memories in the float tank? Why are these retrospective treasures accessible in sensory deprivation? Is it possible for anyone to tap into this mental plane of past imagery in an isolation tank? Working at Isolate not only provides me with the ability to pursue my float practice but I also have the opportunity to hear the experiences of our floaters. When they choose to share, I am blessed and grateful for the “tank tales” of our clients. 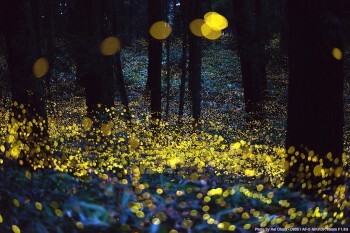 One of my favorites float stories I like to call Memory of Fireflies. While in town visiting family, these two sisters decided to try isolation flotation for their first time. They were looking to relax, rejuvenate, and experience something unique in Boulder, Colorado. The standard mix of excitement, curiosity, and nervousness was palpable as I instructed the sisters on how to use the tanks. Now fully informed, I left them to embark on their sensory deprivation voyage. What treasures are in the darkness of the float tank? 90 minutes later, one of the sisters emerged with the well recognizable post-float glow. Overflowing with happiness, she gave her sister a great big hug. What had happened in the tank? What had caused this profound shift? In her mind’s eye, she saw twinkling, fading, glowing points of lights. This phenomenon of mind triggered a childhood memory of swimming, floating, playing in a lake at night watching fireflies gently blink in the air. This flash of nostalgia was fully experienced as if in a waking dream, transporting her back to the summer vacation at the lake. More vivid than mere recollection, her float session shifted a long forgotten memory to a felt experience. Reliving the simple joys of childhood renewed her Spirit. Love for her sister, her playmate at the lake, glowed like the gentle light of a phosphorescent bug. By gently observing her visuals, a transformative experience of Self emerged. Memories are more than stories when we relive their conception. As an innerverse explorer, her inner light shined on the map of her mind unearthing what was a forgotten moment of the past. Heartwarming stories like this reinforce the idea that each person experiences flotation differently. Ever float is a unique experience. The visuals she saw in the tank are known as hypnagogic visuals. Every night while we fall asleep, as our active mind downshifts, we pass through the hypnagogic state. This brief transition from alpha brainwaves to theta brainwaves is characterized by visual imagery, auditory soundscapes, unique physical sensations, sleep paralysis and sometimes sudden body twitches, know as hypnic jerks. The sensory deprivation tank can gently suspend this transition. As your body becomes still and asleep, your awake and alert mind can interact with hypnagogia. In this altered state of consciousness, our memories are more than just stories; they are vivid experiences transporting us back in time. I was exposed to the concept of the hypnagogic dream state from the Expanding Mind podcast with Erik Davis. Erik Davis is the author of multiple works such as TechGnosis: Myth, Magic, and Mysticism in the Age of Information (Crown, 1998). 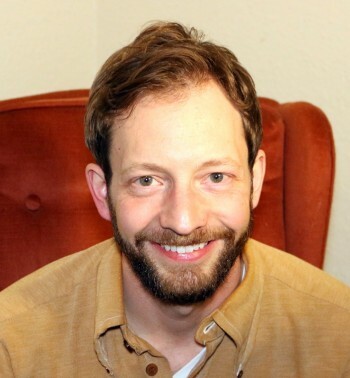 In 2015 Erik received his Ph.D. in Religious Studies from Rice University. In the episode entitled Liminal Dreaming, he is joined by his wife, Jennifer Dumpert. Jennifer Dumpert is a San Francisco-based writer and lecturer specializing in dream work. Jennifer is a contributor to Reality Sandwich. She conducts dream workshops and has held talks at festivals such as lightning in a bottle. She has crafted the term “Liminal Dreaming” to describe the process of accessing and suspending the hypnagogic state. Her site features practices for exploring and sustaining the hypnagogic state. She describes liminal dreaming as “surfing the edges of consciousness”. The word liminal means “intermediate between two states, conditions, or regions; transitional or indeterminate.” Immediately I recognized this state of mind as the experience of mind obtainable from within the sensory deprivation float tank. This unique space of consciousness has been practiced by artists, scientists, and innerverse explorers for creation and discovery. The work of Salvador Dali was heavily influenced by his ability to retrieve imagery from hypnagogia. Dali’s technique of “upright napping” involved a large Spanish key. This Spanish key was the key to unlocking to door to the liminal zone between awake and asleep. 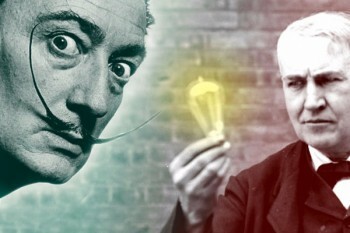 Thomas Edison, Mary Shelley, and Friedrich August Kekule all used the “waking dream” to spark the fire of creativity. I have yet to fully develop my skill as a liminal dreamer. The process of mapping the mental realm needed to reach this destination requires focused intention, practice, and patience. I have experienced fleeting moments of visual and auditory hypnagogic hallucinations inside the tank, during meditation, and as I drift off to sleep. For me, this has included mental music, the imagery of traveling down a road, and the most bizarre, a corgi with leg extensions! The practice of daily floating broke open this space in a way I could have never imagined. Around day 10 in a row of floating, the visuals in the tank increased in number and clarity. However, most surprising was the mental music. To start my float sessions, I had a few minutes of meditation music playing at a low level. In the silence, my mind created music! It flowed with the theme and style of the track that was just playing. It was incredible. An isolation float tank is a valuable tool for charting your mental spaces. It is remarkable what can happen when you fully relax and let go in the float tank. The bridge between awake and asleep, dream and reality, is sometimes stumbled upon and sometimes intentionally found. This space exists for everyone to explore. What memories would you like to relive? Is liminal dreaming the creative jolt you need?